The monstrous Kaiju are back, and Jake, the son of war hero Stacker Pentecost, is pressed into service. Using large robots, Jake and his team must defeat the Kaiju before they destroy the world. 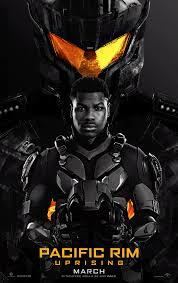 In the first Pacific Rim movie, we learn that Stacker Pentecost adopted Mako. Mako offers her adoptive brother Jake a way out of going to prison. Their relationship isn’t very developed, and Mako does die before the film ends. Many characters act bravely. Some characters are able to resolve interpersonal differences. A character is told, “It doesn’t matter who your parents are, who believed in you and who didn’t. We are a family now. You need to confront your past [in order to bond with others and function in the present. ]” It’s quite a stretch to apply this to adoption, but it was, I think, a good line. Mako’s death isn’t really processed. It’s also sad in context; in the first film, Mako was in danger and so Stacker took her in to protect her. Ultimately she died in a similar war – but as a hero, not as a victim. 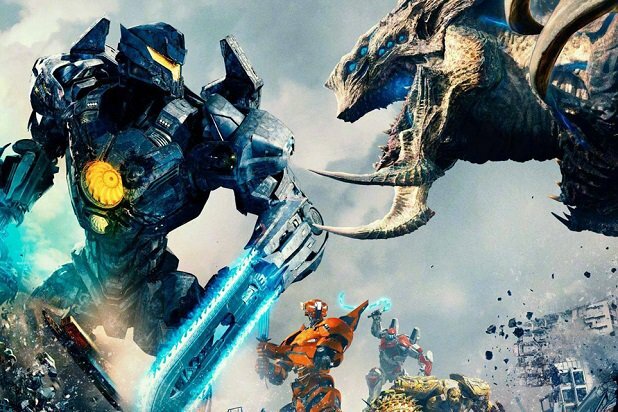 Watching Pacific Rim Uprising feels like watching a Transformers movie. 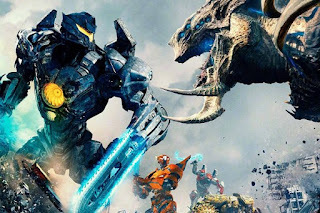 Big, mechanized creatures fight on screen for much of the runtime of the film. There are some interesting moments of dialogue, and some good lines which I’ve highlighted in “Strong Points.” The adoption connection is present, but very thin. The film seems likely to appeal to most teens 13 and up, and parents could potentially make some conversation after the film about the concept of sharing one’s mind with another. Why did Amara need to confront her past? How could confronting her past help her function in the present? Is there anyone with whose mind you think you’d be compatible enough to “drift”? What made Jake and Mako a family? How did their family connection show up?